The Regency Hospitality Training Institute (RHTi) is a new operating department within the Dhaka Regency Hotel and Resort Ltd. It has been established to meet the growing needs for well trained and educated staff for the developing hotel and tourism industry in Bangladesh and in the region. 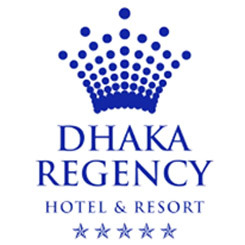 Established in 2006 Dhaka Regency Hotel and Resort Ltd is a privately owned company with the principal investors being the British Bangladesh Investment Group. The company is also registered as an education and training provider through the technical and vocational education and training system. Regency Hospitality Training Institute (RHTi) has been formed as an operational and functional department of the Dhaka Regency Hotel and Resorts Ltd. The hotel has 214 rooms of which 61 are executive suites. It is located close to the international gateway into Bangladesh some 07 minutes from the international airport and close to the diplomatic area. As a predominantly business hotel it offers a full range of functions to the business traveller including a large 24-hour restaurant, rooftop terrace restaurant, coffee shop, Bar, Health Club, Swimming pool and a Thai spa. It has large banqueting kitchens and function spaces that will provide specialist training facilities in addition to a suite of classrooms, resource centre and administrative offices in an adjacent building. The more formal approach to developing education and training programs has been taken as part of the creation of the RHTi through commissioning unique certificate and diploma level programmes that meet the local employer and industry needs. This work has been undertaken by Prof Peter Jones MBE FIH in collaboration with Shahid Hamid FIH the Executive Director of the hotel & Chief Advisor of RHTi and prof. Islam Md. Hashanat, PhD – former Parjatan Official, ILO Fellow and Founder Chair of Tourism and Hotel Management Department of IBAIS University in consultation with wider industry representatives within Bangladesh, Dhaka University and the Bangladesh tourism associations. The curriculum model for the programs has been based on the need to develop professional skills and competencies in a “real world” context underpinned by the appropriate knowledge and understanding. The programmes (Diploma and Certificate programmes with IoH endorsement) are designed to be the equivalent of level 3 and 4 within the European qualifications framework. The mission of the institute is to provide high-quality professional education and training in support of the growth and development of the Bangladesh hospitality industry. To provide the environment and opportunity for all students to be inspired and succeed in their chosen profession and career.